I have spoken at a variety of events, from interfaith gatherings to faculty development programs on international students. Most recently, I have been promoting my newly released book “The Bible and the Qur’an: Biblical Figures in the Islamic Tradition”. I have been fortunate to speak on the book and its relevant themes at Georgetown University, Catholic University, The University of Pennsylvania, Chicago Theological Seminary, Duquesne University, the University of Calgary, the Islamic Center of Pittsburgh and other venues. Please email me at: yym2@georgetown.edu if you would like me to contribute to one of your programs. How do Muslims view Mary compared to Christians? Does she provide a bridge or a barrier for dialogue and mutual theological reflection? Both religions have traditions about Mary’s birth, childhood, the Annunciation and the birth of Jesus. Most Christians do not know that the Quran mentions Mary over 70 times and names one of its chapters after her (Surah 19). Despite differences about the nature of her son, Jesus, Mary remains a remarkable point of engagement for both faiths. 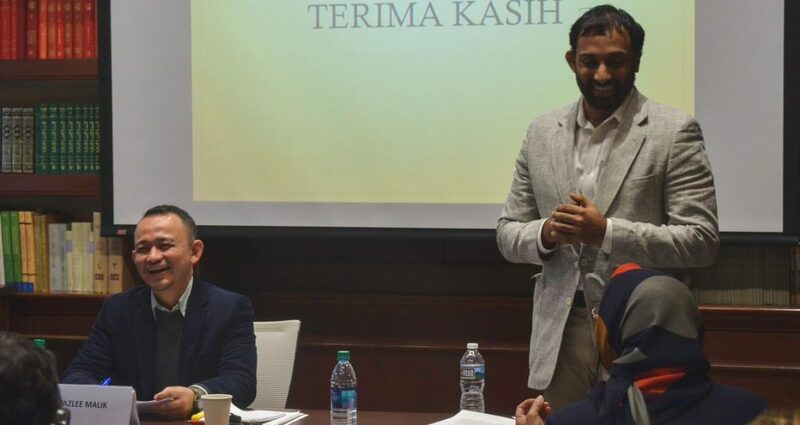 Dr. Younus Mirza, Scholar in Residence at Shenandoah University and visiting Researcher at Georgetown University, co-author of The Bible and the Qur’an: Biblical Figures in the Islamic Tradition with John Kaltner (T & T Clark, 2018), and director of the Barzinji Project. The evening will include engaging presentations and dialogue between our speakers, audience questions, and a nice reception. This is the The 10th Annual Taha Al-Alwani Event made possible by the Heritage Trust, and is is co-sponsored by the Institute for Interreligious Studies and Dialogue at the Catholic University of America. Check out my new course on the Qur’an! I have taught variations of this class at Georgetown University, UPenn, Allegheny College, Chicago Theological Seminary, the University of Sarajevo and other educational institutions. For instance, I have taught courses entitled: “Introduction to the Qur’an”, “The Qur’an and the Bible”, “Stories of the Prophets”, and “The Qur’an and its Interpreters”. Email me at yym2@georgetown.edu if you are interested in bringing this short course/workshop to your campus or community. The course can be taught online or in person.